Well, not exactly emojis, but close. 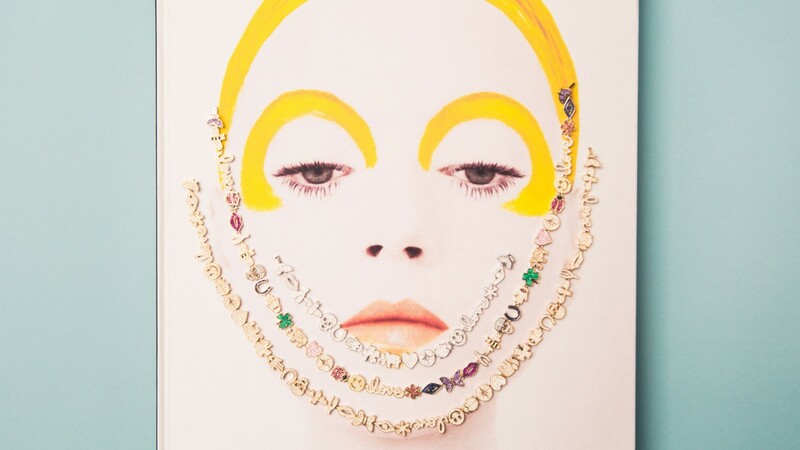 In the 15 years she’s been designing jewelry, California-based Sydney Evan has formed a whole vocabulary of icons. Her signature pieces feature tiny pave skulls, cacti, hearts, and wishbones. There are bees, smiley faces, and even pot leaves—if that’s what you’re into. The icons are a staple for her—a true design signature. So, on her 15th anniversary, it was only natural for designer Rosanne Karmes to take a look back at some of her favorite icons. “When I decided to mark the milestone of our anniversary I found myself reflecting on the past 15 years. I decided to reinterpret some of my best-selling icons from over the years,” said Karmes. The collection features 12 all-time favorites in pave diamonds in gold, as well as two extra, extra special pieces: the Multi-Icon necklace and bracelet. 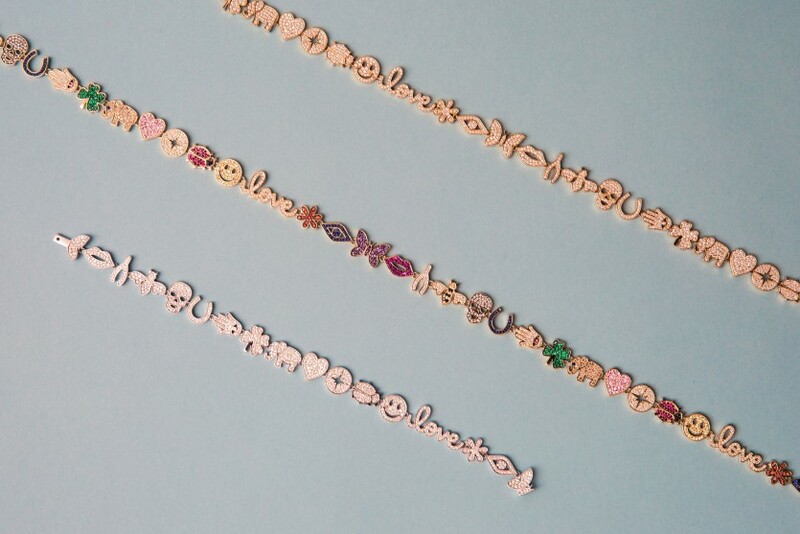 Shown here, these pieces feature *all* the anniversary icons in an incredibly luxe choker-style design. “My favorite piece in the collection would have to be the Multi-Icon Anniversary Necklace,” said Karmes. “It’s a reminder of what’s important in the world and is simply beautiful. It’s also a partial time line of my 15 years and shows that love, luck, protection, and overall happiness never goes out of style.” We’re pretty sure that sentiment (especially when it’s spelled out in diamonds) is something we can all agree on. You can check out the rest of the pieces (and grab one for yourself!) here.